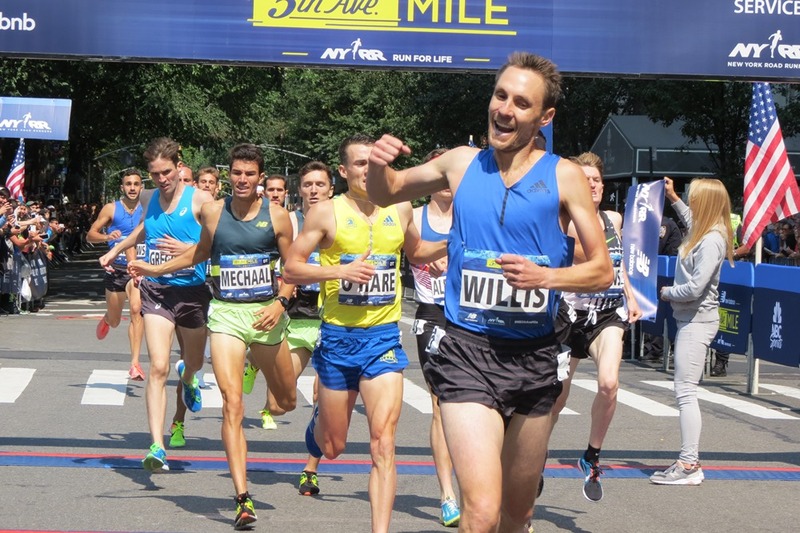 – Chris O’Hare after winning the Hoka One One Long Island mile but coming up short on the late David Torrence’s meet record. Two job offers: $135K in bay area... or $160K in Seattle - what would you go with? 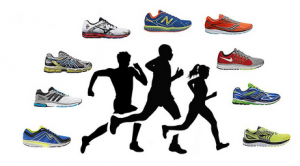 Are Genetics important for Elite runners? 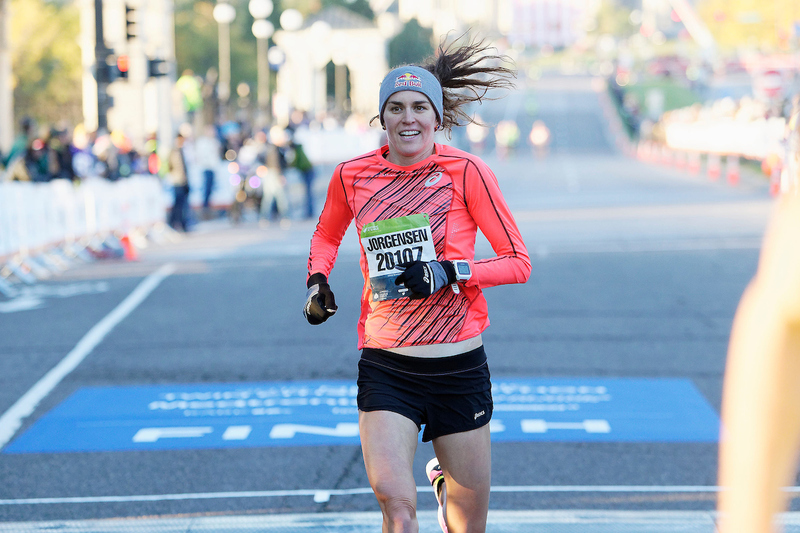 Tonight: Garrett Heath Vs Will Leer And Hassan Mead At The Minnesota Mile The women’s race has Amanda Eccleston, Kellyn Taylor and Jen Rhines. 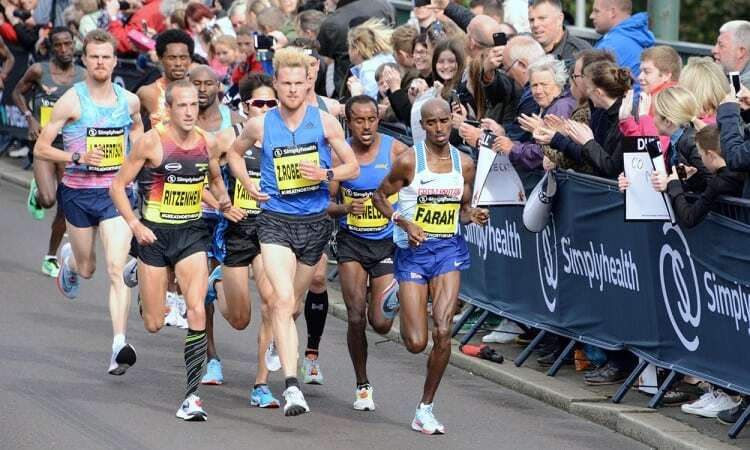 Sunday: Fields For Great North Run Announced: Mo Farah Faces 2017 London Marathon Winner Daniel Wanjiru And Jake Robertson Vivian Cheruiyot leads the women’s race with Joyciline Jepkosgei, Betsy Saina and Stephanie Bruce. October 28: Olympic Bronze Medalist Mare Dibaba Leading Quartet Of Ethiopians Trying To Run The First Sub-2:20 At The Frankfurt Marathon Dibaba has a 2:19:52 best and is joined by three compatriots who have gone sub-2:22 including #4 all-time fastest debutant, Haftamnesh Tesfay (2:20:13). 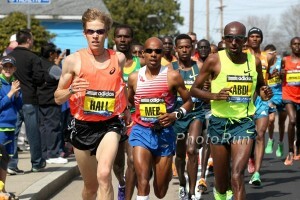 Sara Hall is also racing after finishing 5th last year in 2:27:21. Two Russians Stripped Of World Medals Over Doping Tatyana Lebedeva loses her 2009 LJ silver and Maria Abakumova loses her javelin gold and bronze from the 2011 and 2009 world champs. 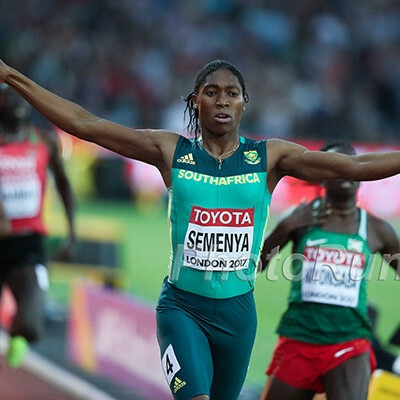 Zambian 400m African Champion Kabango Mupopo Given 4-Year Drug Ban After Testing Positive For Testosterone At 2017 Worlds She denies wrongdoing, saying her elevated levels are because she has hyperandrogenism. 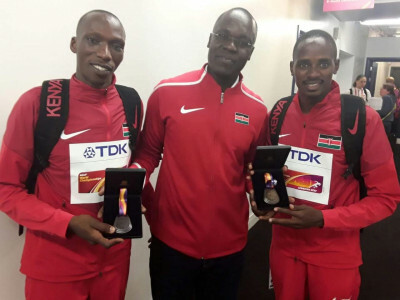 IAAF Ethics Board Clears Former Athletics Kenya Officials Cleared Of Extorting Athletes They had been accused of extorting athletes in return for covering up positive drug tests . 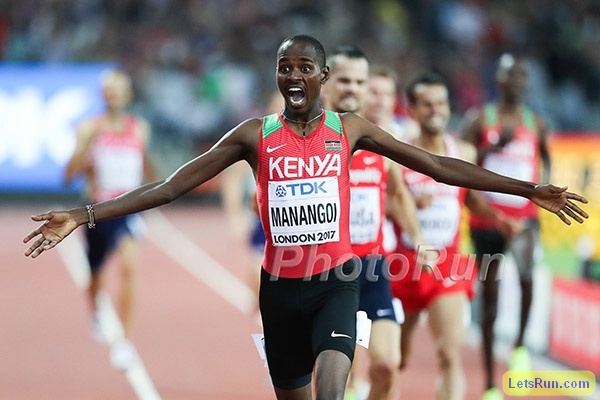 World Champ Elijah Manangoi Defeats World Indoor 3,000 Champ Yomif Kejelcha 3:32.52 To 3:32.59 To Highlight Zagreb Distance Results Nijel Amos set a MR with a 1:44.08 win over Marcin Lewandowski (1:44.43) as Clayton Murphy was 6th (1:45.79). 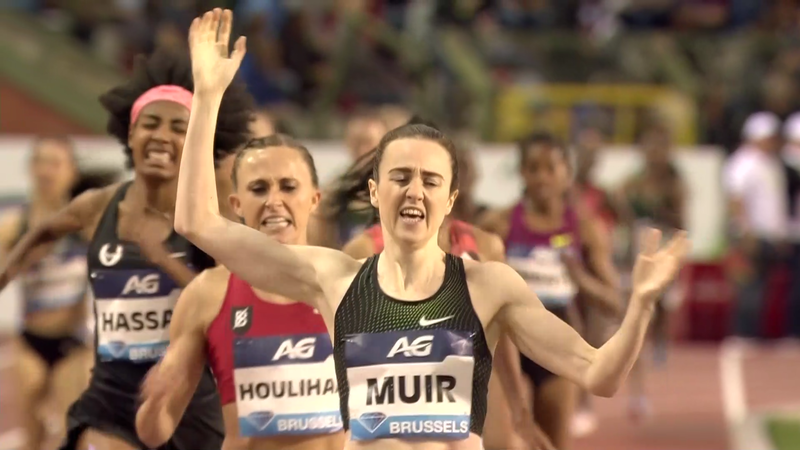 World XC bronze medalist Lilian Rengeruk had a MR in the 3,000 (8:33.37), Sharika Nelvis held off Brianna McNeal by .01 in the 100H and world LJ champ Luvo Manyonga won with 8.45m. 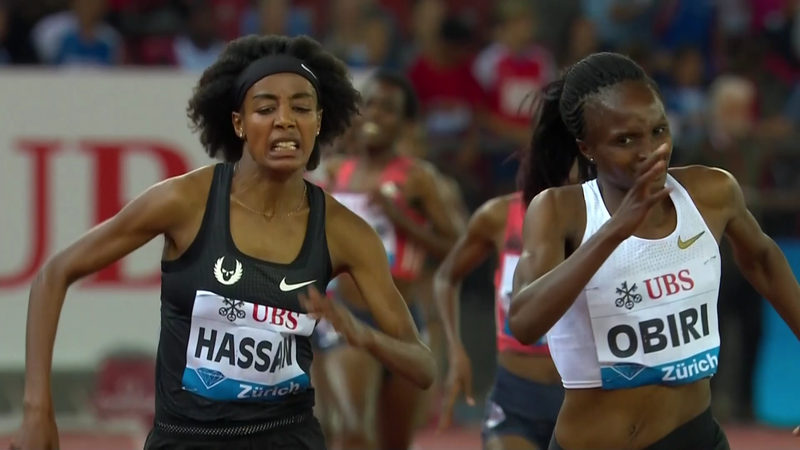 Genzebe Dibaba Makes Mile World Record Attempt In Padua, Italy, But Falls Short With A 4:20.51 Victory The record is 4:12.56 and Dibaba went through 800 in 2:05.38 and still had a chance at 1,200 with 3:12.1, but faded on the final lap. Spain’s Alvaro De Arriba beat out Erik Sowinski in the 800 with 1:45.47 while Russians Sergey Shubenkov (13.09 in the 110H) and Maria Lasitskene (1.95m in the HJ) highlighted non-distance action. 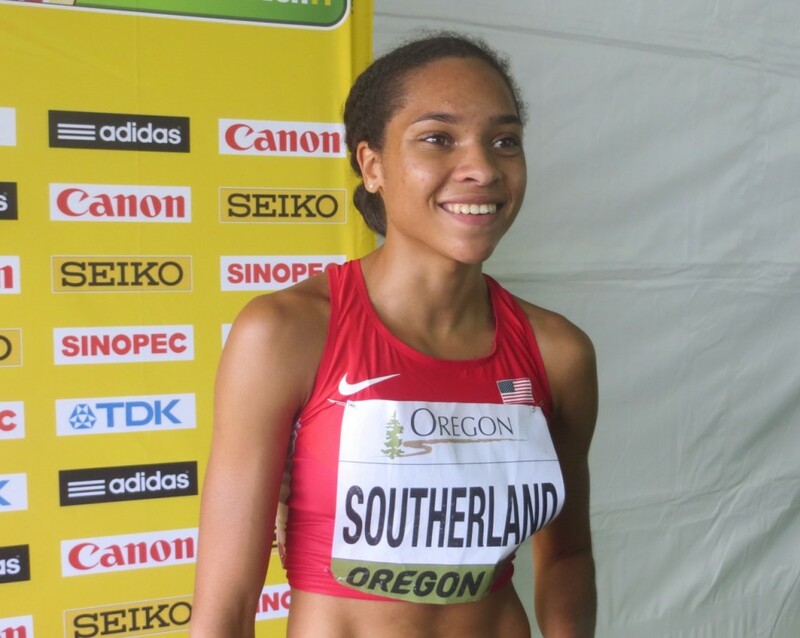 USA’s English Gardner (11.11) and Michael Rodgers (10.10) won the 100m. Ryan Crouser Throws 22.09m To Win Zagreb Shot Put Crouser beat out World champ Tom Walsh (21.78m) in the street-meet event. LRC Official Continental Cup Thread This weekend’s meet has some great matchups Noah Lyles vs all-comers at 100, Korir vs Amos vs Murphy at 800, Jakob Ingebrigtsen returns vs Manangoi (and Drew Hunter), the big 3 in the steeple (El Bakkali, Kipruto, and Jager), an elimination 3000, Miller-Uibo vs Jackon vs Schippers at 200, Semenya vs Naser at 400, Semenya, Niyonsaba, Wilson and Goule at 800, Houlihan at 1500, Obiri vs Hassan at 3k, and Frerichs sub 9 attempt in Steeple. 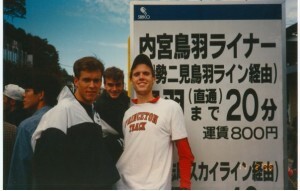 Continental Cup: Jager’s Last Attempt at Sub 8, Frerich’s Last attemp at Sub 9– What if Jager goes for broke? IAAF: How To Follow The 2018 Continental Cup In Ostrava Some info on the event in general and scoring. An interesting aspect is in the 3,000m and steeple, the athlete getting to the finish line last is taken off the track so that only four athletes get to finish the race. 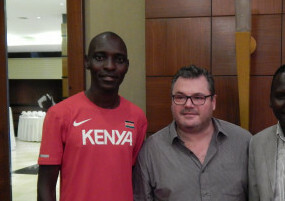 Team Captains Arrive In Strava For IAAF Continental Cup Team captains are actually former top athletes like Mike Powell for Team Americas and Colin Jackson for Europe. Team Europe Ready To Defend IAAF Continental Cup Title Four years ago Europe won by 57.5 points over Team Americas and are the favorites again this year. Great Britain Has Nine Athletes Representing On Team Europe Dina Asher-Smith leads the GB contingent. List Of Countries With Access To The IAAF’s Free Live Stream Of The 2018 Continental Cup The US is not one of them, but you Brits luck out. 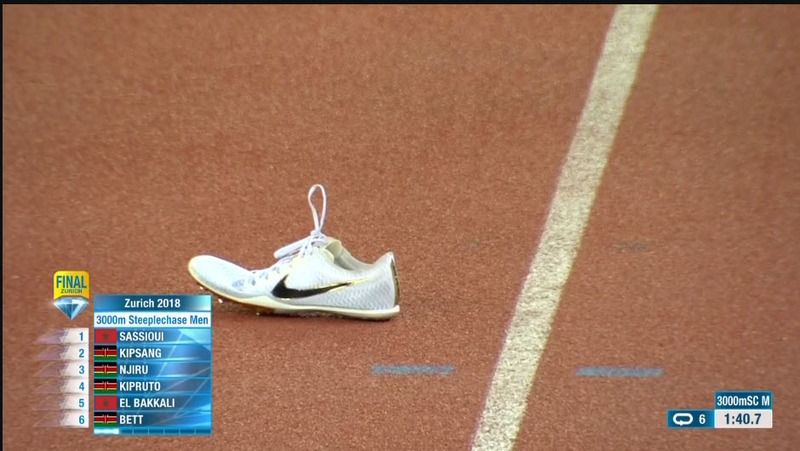 2018 ISTAF Berlin: Caster Semenya Clocks Fifth-Fastest 1,000m (2:30.70) As Robert Harting & Kim Collins Call It A Career 45,000 spectators, including our favorite mascot, Berlino, were on hand as the ’12 Olympic champ Harting finished second to his brother (also an Olympic champ) with a 64.95 throw and the 42-year-old Kim Collins ran 10.45. Tuesday: Nine Diamond League Champions Return To Action In Zagreb The men’s 1,500 will be a clash of brothers as Filip and Henrik Ingebrigsten take on world 1,500 champ Elijah Manangoi and his younger brother/world U20 champ George. 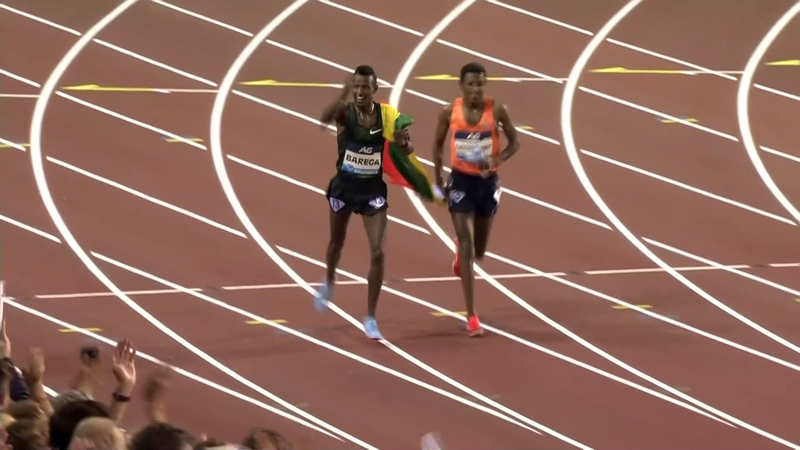 World indoor 3,000 champ Yomif Kejelcha is also in the field. Short Q&A With Tirunesh Dibaba Dibaba says her favorite places in the world outside Ethiopia are NYC and London. 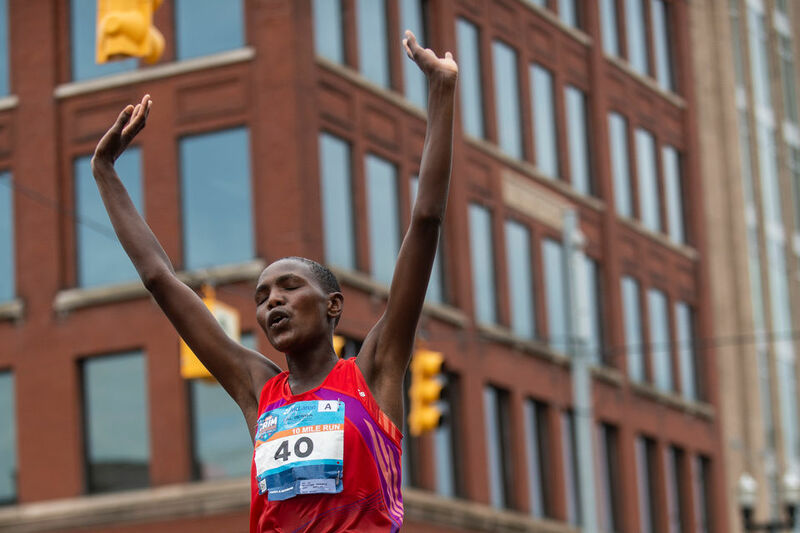 MB: Sifan Hassan will be racing 10000m next season, because Alberto Salazar wants her to double 5000/10,000m at the WC and Olympics This from a recent video interview. September 16: Seventeen Sub-60 Minute Men Will Line Up At The Copenhagen Half Marathon 58:40 man Abraham Cheroben leads the field and faces Galen Rupp and Berlin Half champ Erick Kiptanui (58:42), who says he’s gunning for the world record. 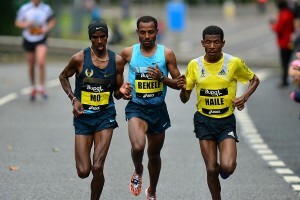 World indoor 3,000 champ Yomif Kejelcha will make his half debut. Meanwhile, the women’s race has seven sub-68 runners, led by 65:04 woman Joan Melly and world champ Netsanet Gudeta, who will also be making a bid at the WR.